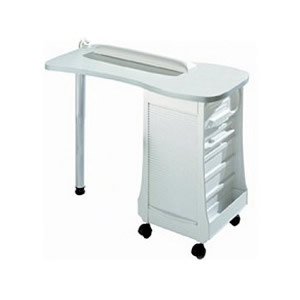 Direct Salon Supplies White Manicure Table with storage column and locking wheels. Handrest Cushion not included. Dimensions: Height 74cm, Length 98cm, Depth 48cm.